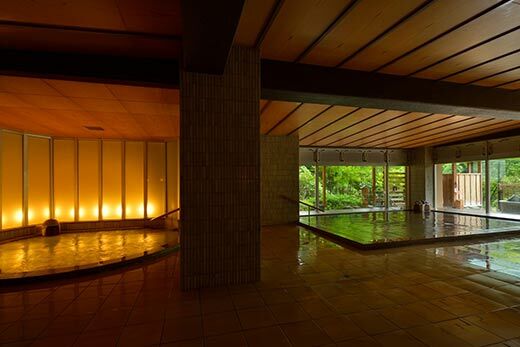 A popular Japanese hot spring inn where guests enjoy classy baths and great cuisine. 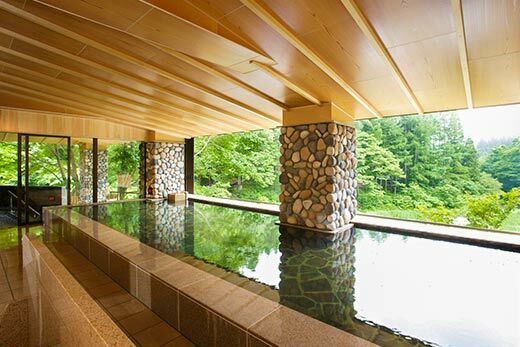 Musubi-no-yado Airinkan is a hot spring inn located in the onsen village of Hanamaki, one Tohoku’s most popular hot spring areas. Guests love our 17 baths rich in Japanese onsen ambiance and our seasonal cuisine. 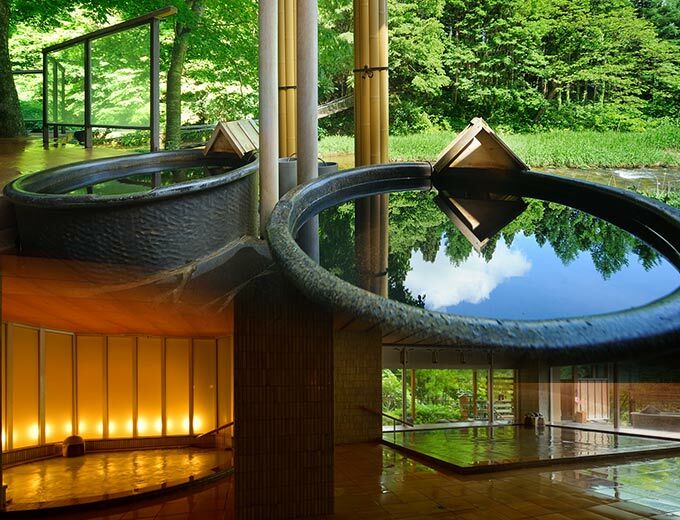 We draw our hot spring water from three high-quality sources onsite. Enjoy it in facilities like our outdoor baths and stone baths. We offer two dinner styles consisting of Japanese and local Tohoku cuisine for your dining pleasure. 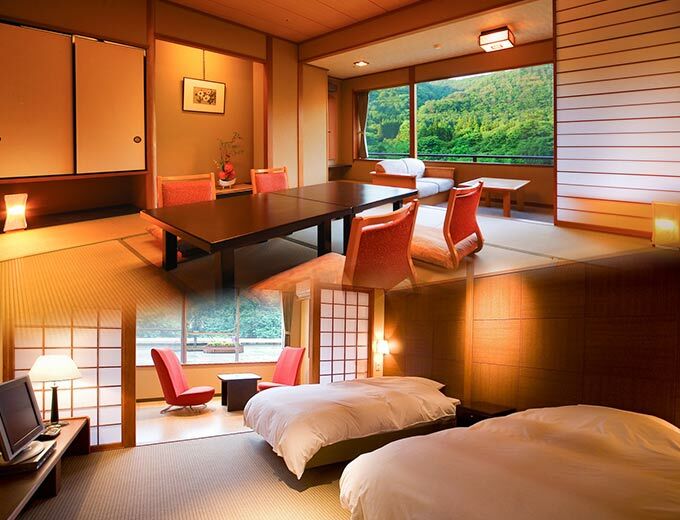 Guests can choose from traditional Japanese-style rooms or rooms with beds. 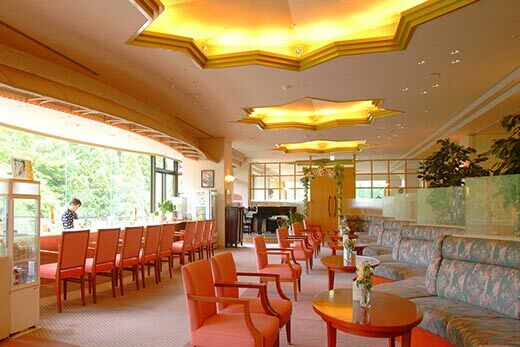 We provide a variety of facilities such as a lounge and a Japanese style pub for the comfort of your stay. We have good access to many popular tourist destinations, and we are highly rated on TripAdvisor. We wish you an amazing trip in Japan and wonderful memories of your stay at Musubi-no-yado Airinkan. Choose from a variety of rooms to fit your budget and travel style, like our traditional Japanese style rooms or twin bedrooms. Amenities such as a refrigerator and an air purifier with attached humidifier are provided for your comfort. Rooms look out on gorgeous mountain and river scenery. ※　Some rooms have a partially obstructed view. 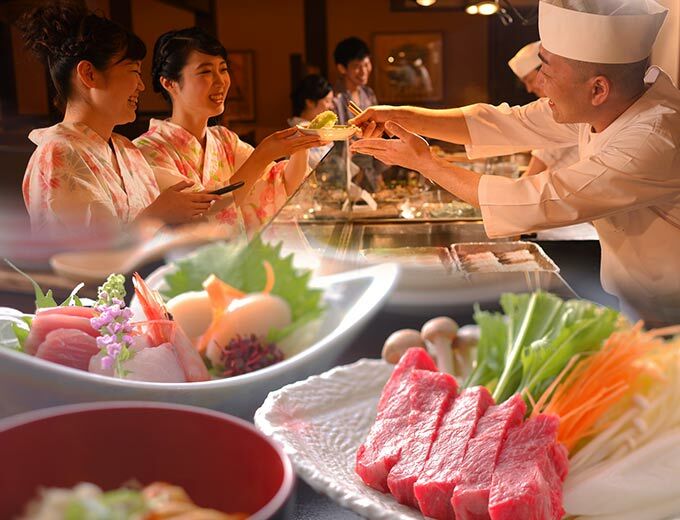 Airikan offers two ways to enjoy Iwate Prefecture’s regional and seasonal cuisine, including dishes made with Hanamaki brand Platinum Pork, Hanamaki hitsumi, Hanamaki pickled vegetables, and ichigoni. You can choose between our “Kamado Dining” and “Wazen Style” dining plans. 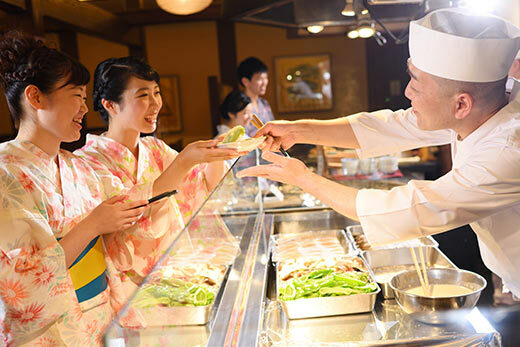 Kamado Dining lets you enjoy a buffet style meal with dishes like tempura, grilled fish, and wild vegetables. Our Wazen Style is a traditional meal arrangement featuring regional dishes with local ingredients. Iwate’s Hanamaki is a famous hot spring area. 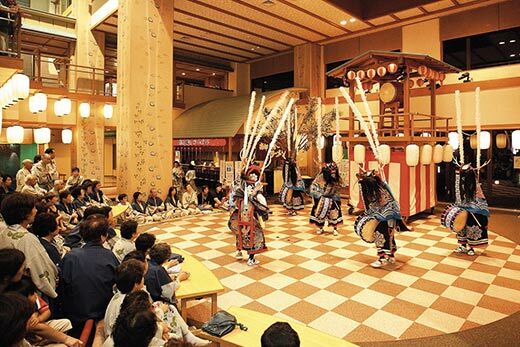 Its history and classy onsen are even popular in northeastern Japan. We have 17 bath tubs for your enjoyment, including outdoor baths looking out over the beautiful scenery of the seasons and three large public baths. 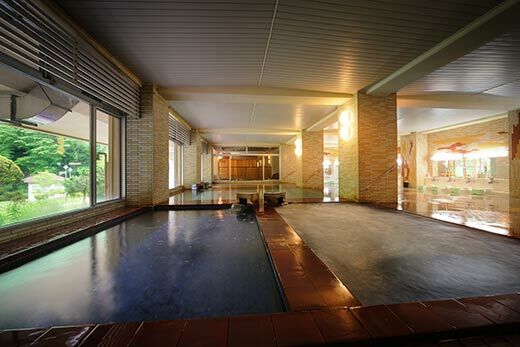 Airinkan’s onsen are fully supplied by three natural hot spring sources onsite. The ample water flow is renowned for its quality. 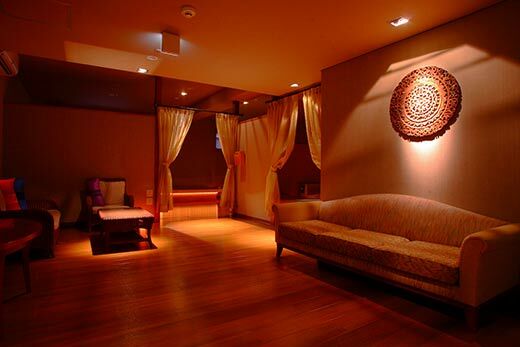 We offer a variety of facilities and services to ensure the comfort of your stay. Our café lounge lets you relax while looking out on our splendid garden and the surrounding mountains, and our Festival Square offers daily events and folk entertainment. Drinks are included with your stay at the café, as is Wi Fi throughout the premises. We also provide a variety of colorful yukata robes for rent. 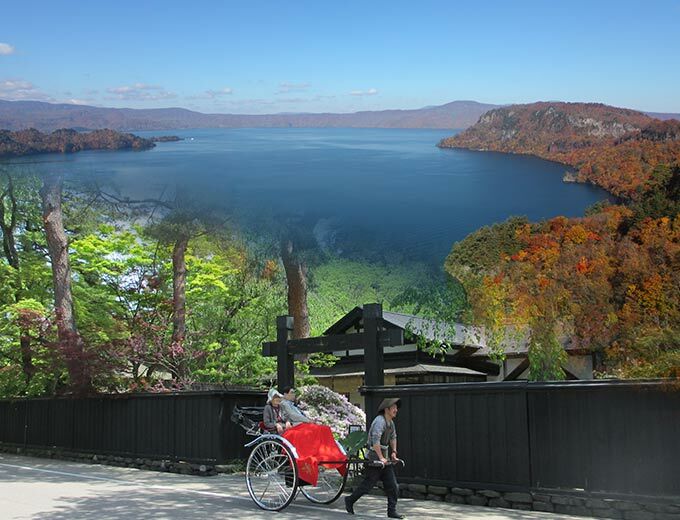 The area has many places to enjoy the great outdoors, history, and culture, like the World Heritage Chuson-ji Temple and Tono. 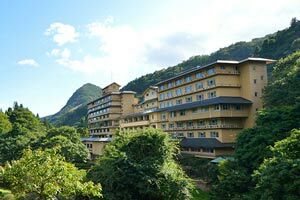 Hanamaki Onsen is easily accessible by air and shinkansen, and we offer a free transfer service. You can make reservations at Airinkan through this lodging site. 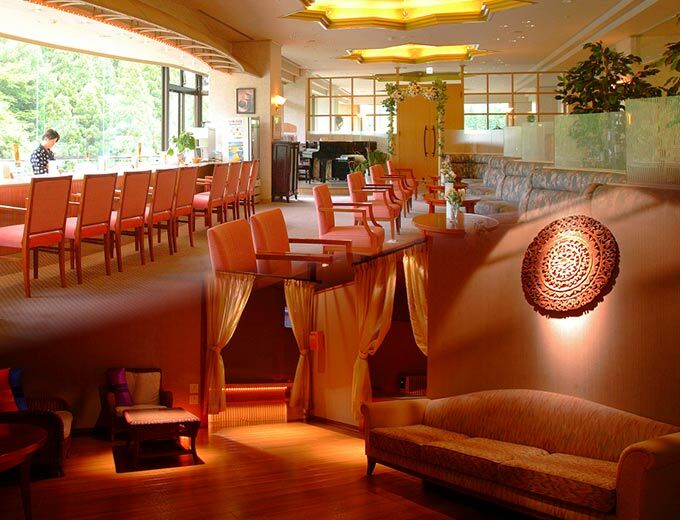 Enjoy a comfortable stay in Japan at Airinkan.